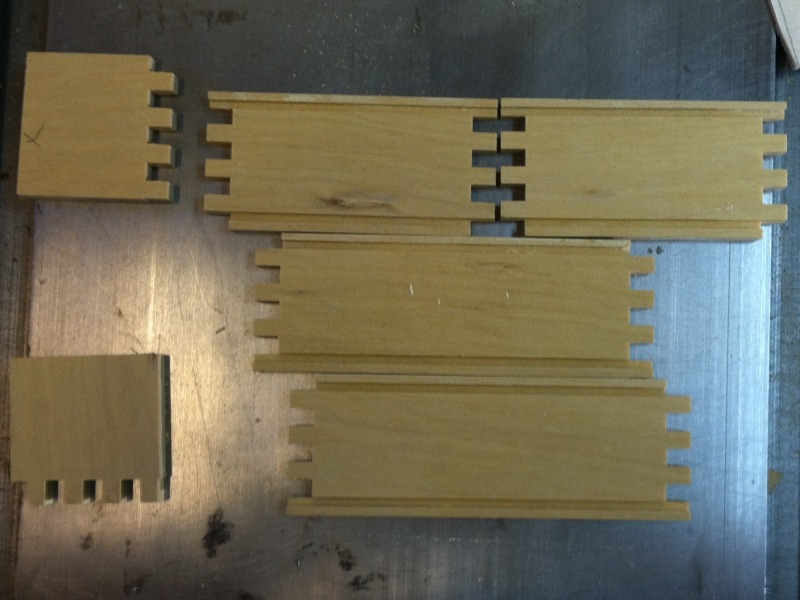 I have my pieces ready plus a couple of test pieces. Mark out where you want the cuts to be. 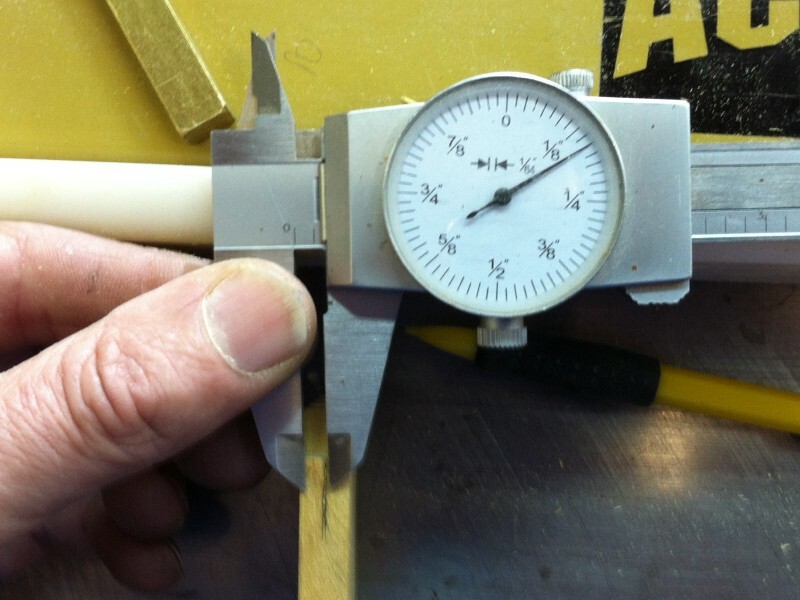 Check the thickness of your pieces. 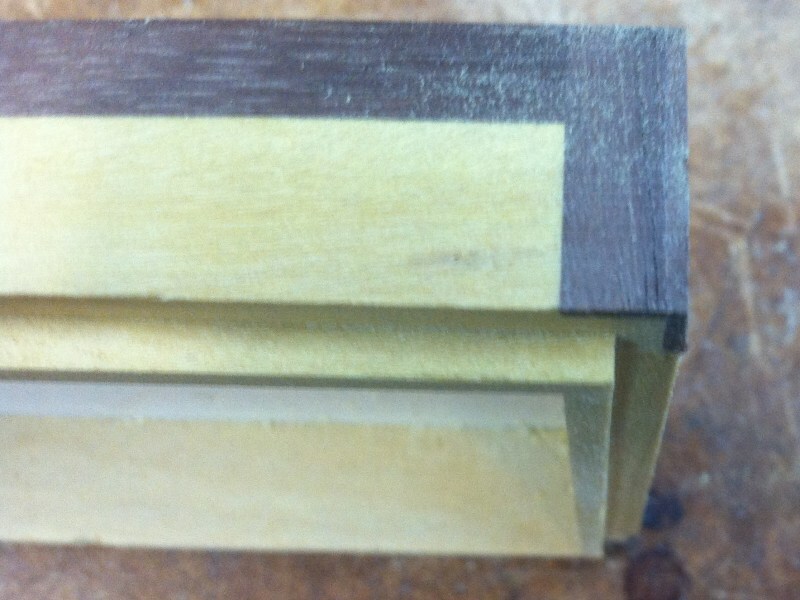 Mark out 1/2 of the thickness on the end of a test piece. 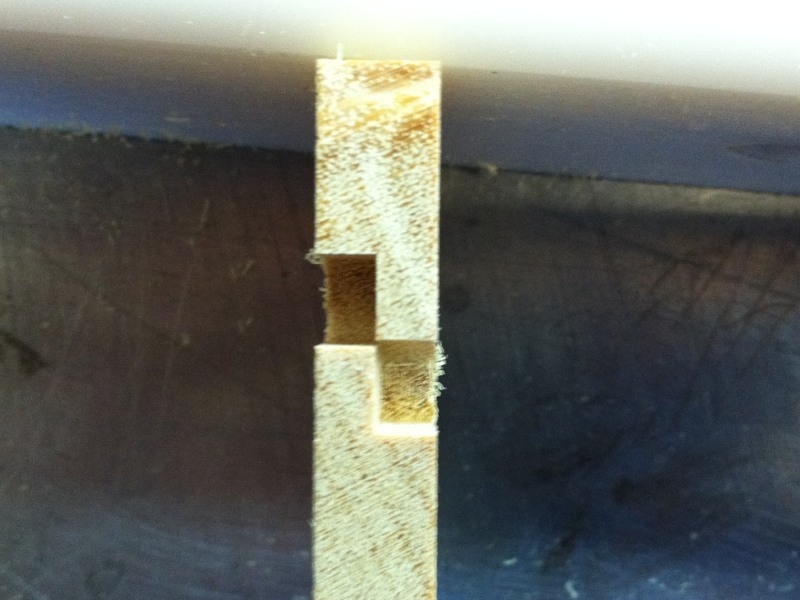 Set the router bit height to 1/2 the thickness of the piece. Set the fence to the exact distance you want for the inside cut. Make a small cut. 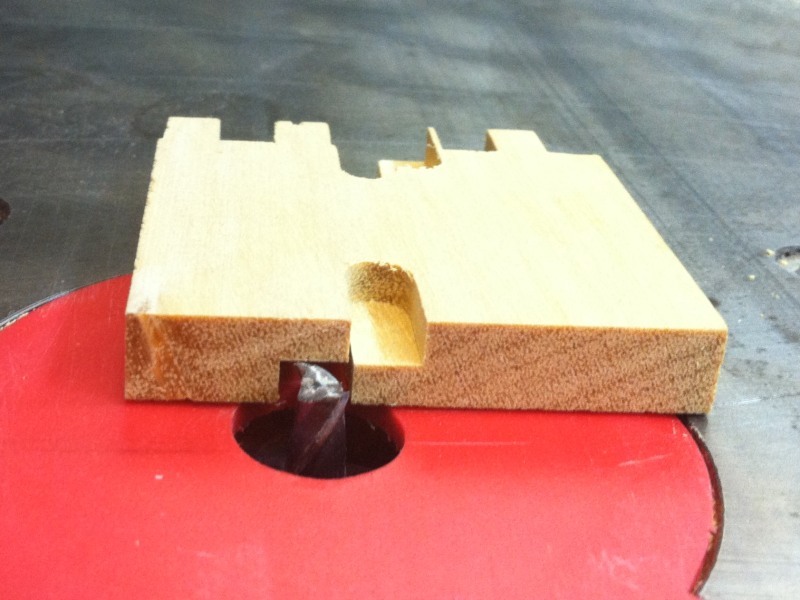 Set the router so the next cut is right under the first cut. I made the first cut again on the other end of the board so you can see how they look better. 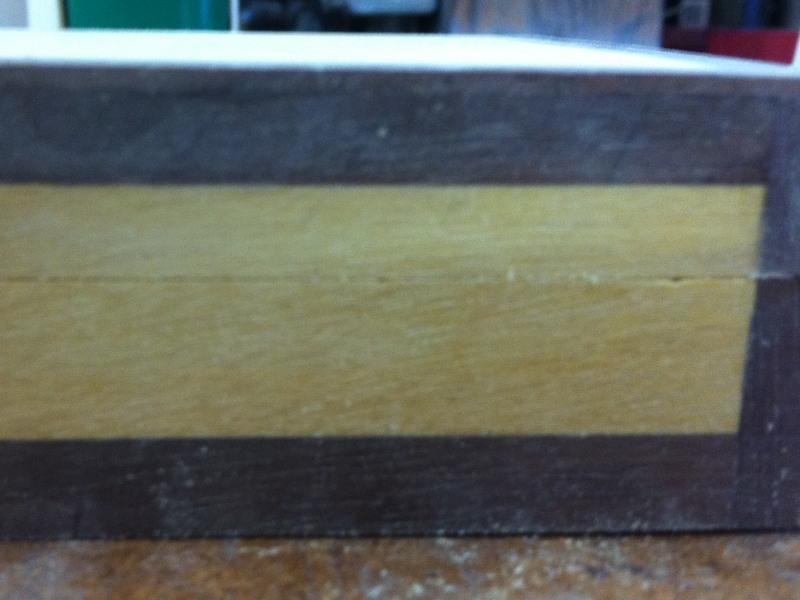 The left side is the first cut which will be the lid and the second cut is the bottom. Save this piece for later reference. 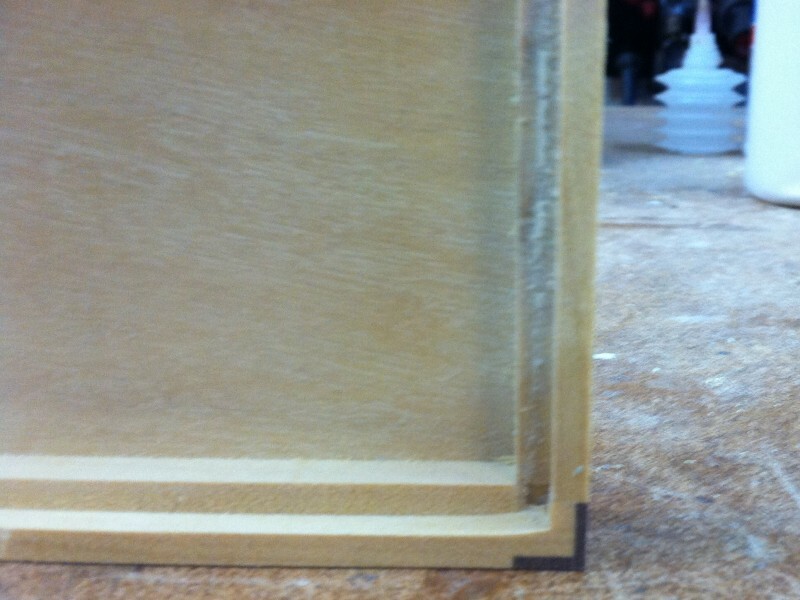 Make the iside cut on your box sides. 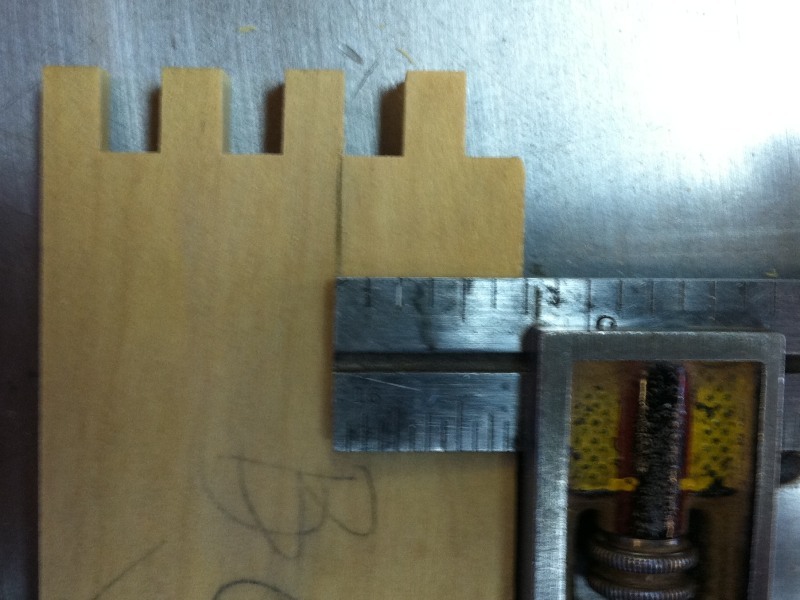 Then measure from the fence edge to the bottom of the groove. Transfer this distance to one box side. Mark it with a knife cut. 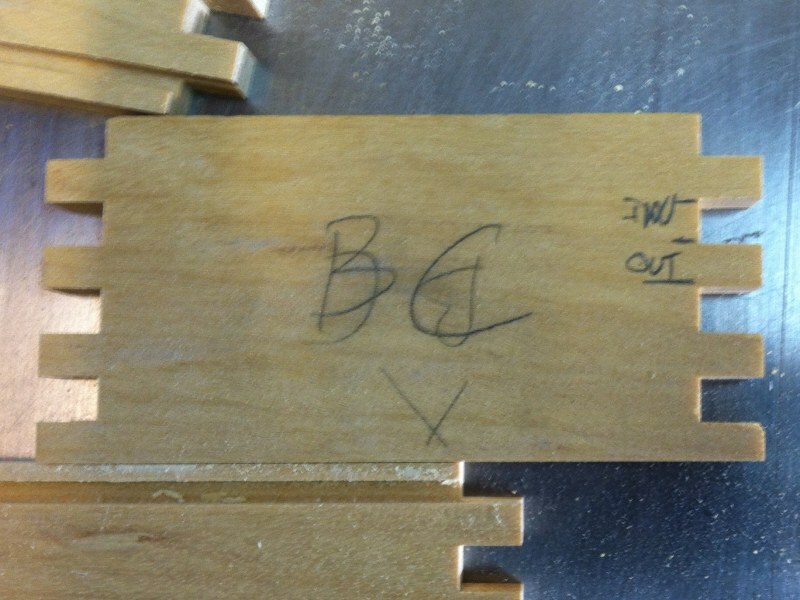 When the box is glued up, you can make the outside cut. 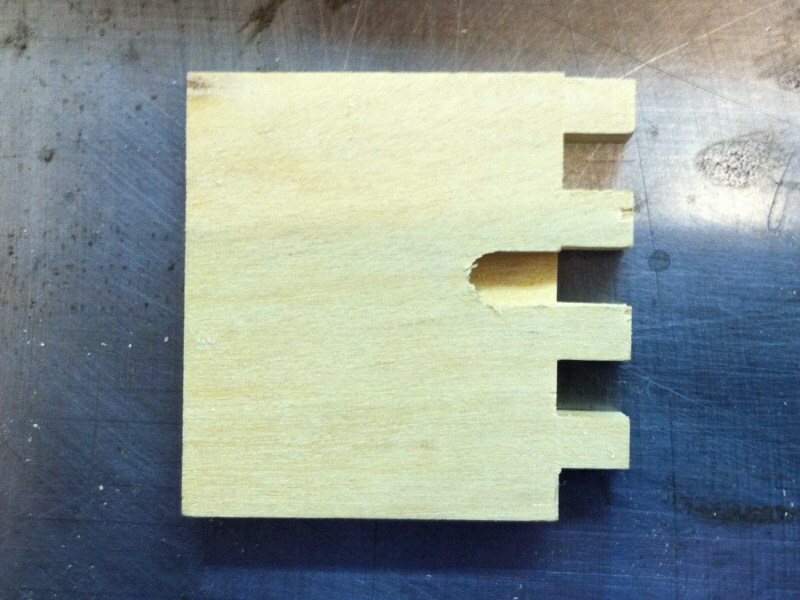 If you changed the setting on the router, use the test piece to re-set the height. Set the fence so your cut is right up against the the mark you made earlier. Cut the lid off. View of the inside of the lid after cutting off. View of the inside of the body after cutting off. View of box put together. 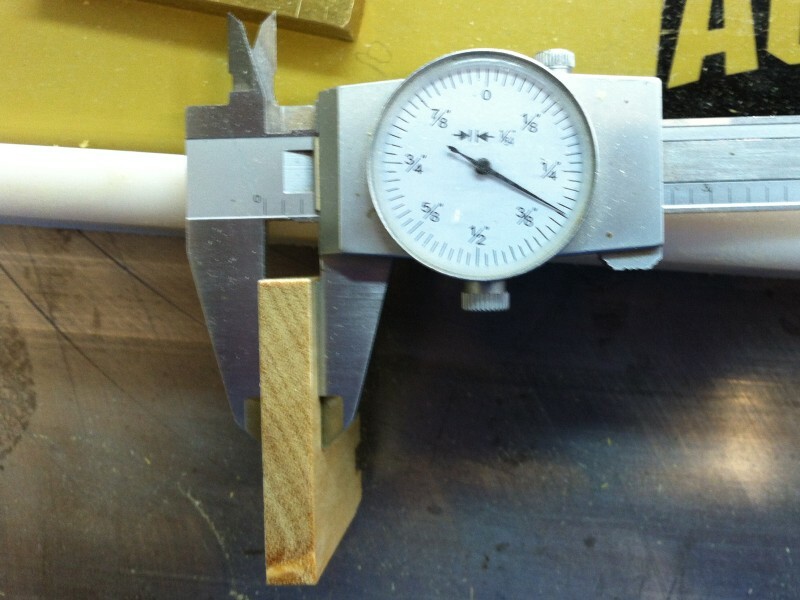 If the fit is to tight, sand the edge of the body until it fits. 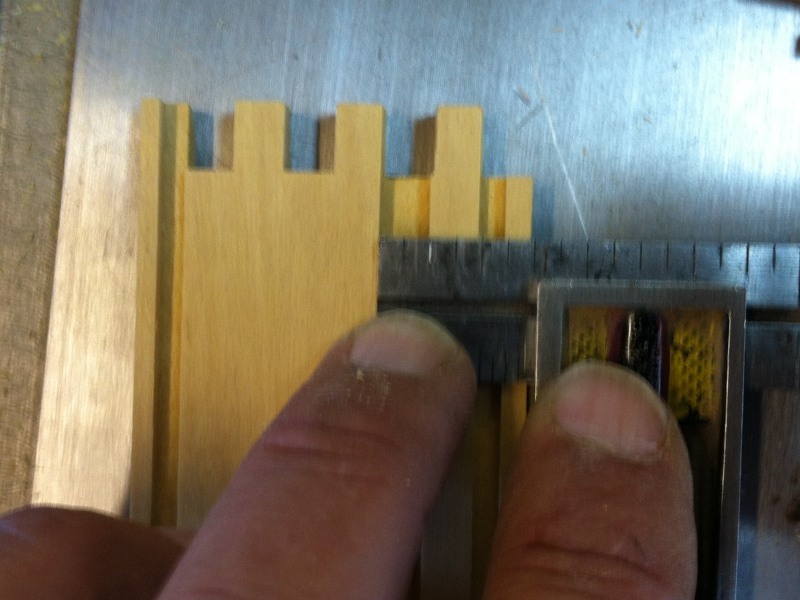 If it is to loose and you want it tighter, you can glue strips to the edges of the body cut. 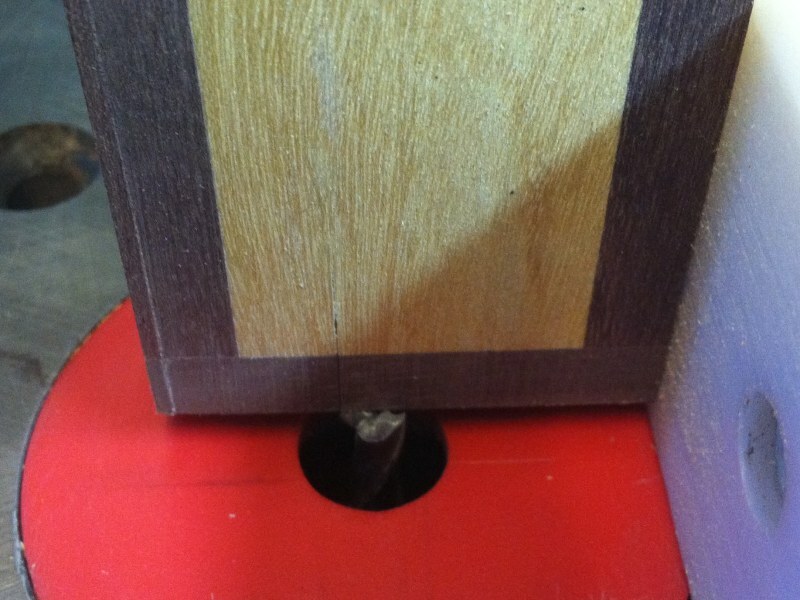 When it fits one way, try the fit the other way and sand until it fits that way as well.